Hope you feel better soon. Pretty rose! So sweet! Love the rose. I love the rose. We are going through a lot of Kleenex too. 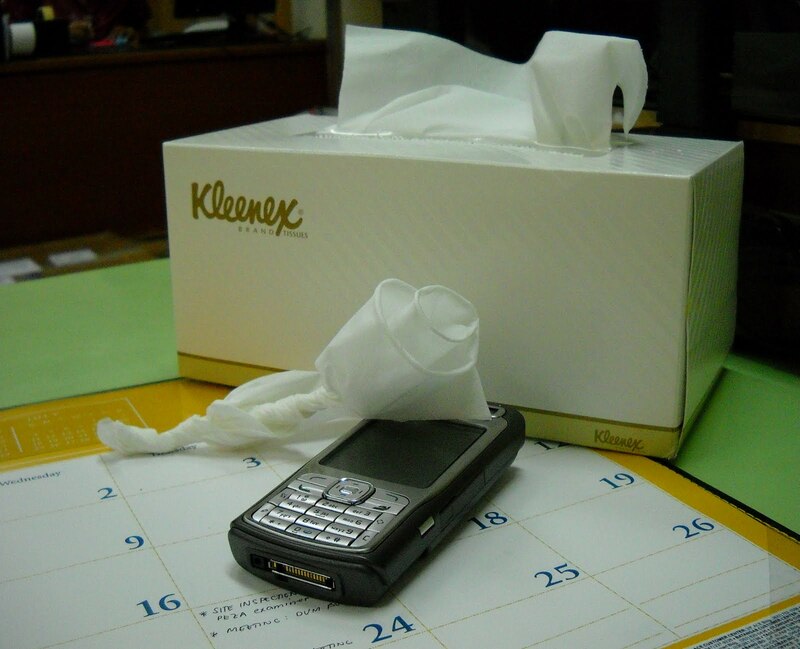 Kleenex, one of the wonders of the modern world, come to the rescue once again. sorry you are sick, but when you are Kleenex can be a great friend. I'm so jealous that you can make those tissue roses. It's gorgeous! I hope you feel better soon. Use your cold as an excuse to do nothing! Sending lots of healthy vibes! Is that a tissue rose? Cool! Hope you're feeling better soon. Hope you are feeling better now. A rose for cheering up and Kleenex for cleaning up. Twisting Kleenex into a rose is like finding the liver lining in a cloud. Hope you are recovered and enjoying your 4th of July!